For the first time ever, see the full, authorized story of Jax Teller’s first year as a SAMCRO prospect — a year that may ask more of him than he’s prepared to give. The ride begins here. Jax Teller has always had one dream: to follow the family legacy and join the Sons of Anarchy. But at eighteen, still reeling from his father’s death and just starting out as a prospect, Jax is about to discover just how hard the life of an outlaw can be. 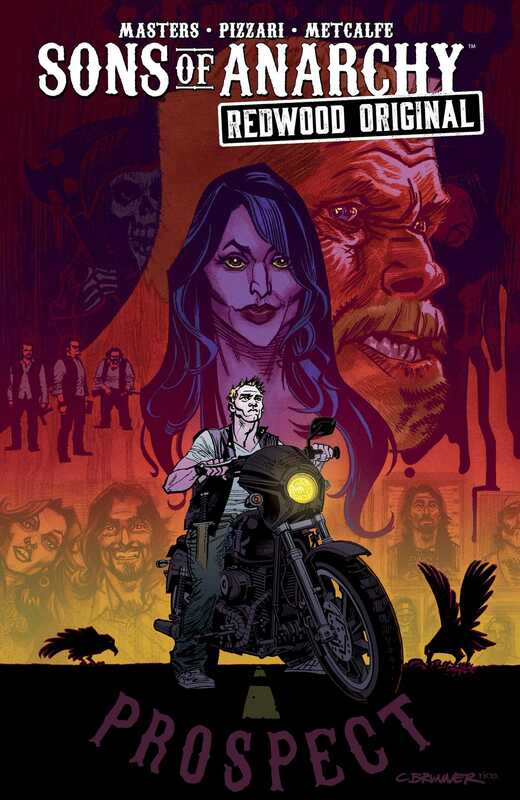 Rising stars writer Ollie Masters (Snow Blind, The Kitchen) and artist Luca Pizzari (Secret Wars Journal, Amazing Spider-Man) journey ten years before Season 1 of Kurt Sutter’s critically acclaimed television series, Sons of Anarchy, to tell the never-before-seen, authorized story of Jax Teller’s first year as a SAMCRO prospect.